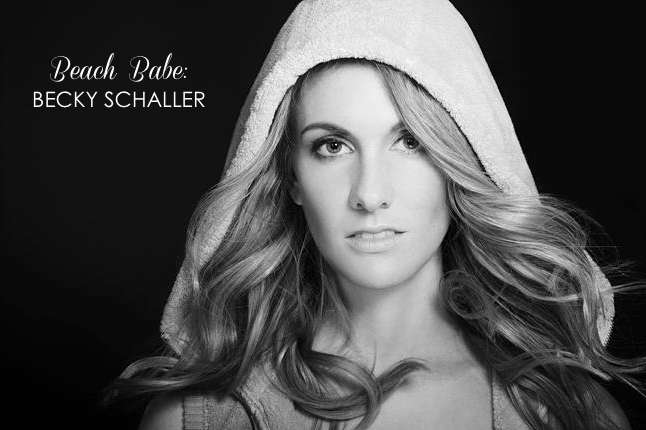 I'm so excited to introduce you to Beach Babe, Becky Schaller. This babe has got it going on. With a degree in Kinesiology and over 12 years of experice as a personal trainer and group fitness instructor, Becky has worked with some of the biggest names in fitness like Bob Harper, Brooke Burke, Billy Blanks, Gunnar Peterson, and Jackie Warner... Sound familiar? Not only has this maj babe been a cover girl for shape magazine, but she's also a badass. 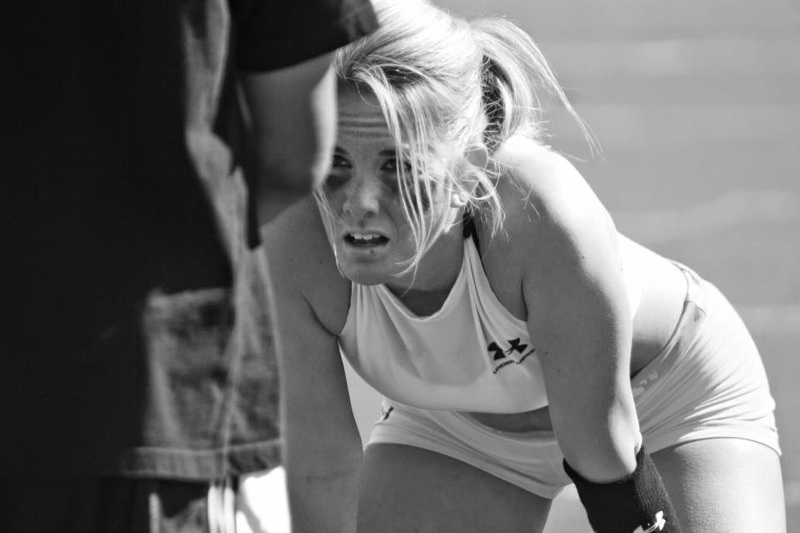 She played professional football for The World Champion Franchise: LA Temptation Legends Football League. I absolutely love her zest for life and all things fitness related. I'm learning a lot from this babe today! What's your philosophy when it comes to fitness? Refuse the idea of failure. Train smart. Have fun. Avoid complicity. 90 minutes of Hot Yoga Vinyasa Flow is my personal treat to myself once a week... really good music in a really hot room. I always leave feeling detoxed and renewed. You’ve worked with some of the biggest names in fitness. Who was your favorite to work with and why? Richard Simmons because he truly cares on a level deeper than human in regards for what he does for other people. He makes others better for the greater good, he gives totally unselfishly, and he absolutely loves it, he is a beautiful person. How do you keep your clients motivated on a daily basis? For my private individual clients I have them report to me daily, this goes for their food level and their activity level. I am a firm believer in honest ACCOUNTABILITY. Taking responsibility for individual loss and gains of the everyday is very reflective of overall progression. For my Group Exercise Classes, my students, I have to keep it a little more manageable as I teach over 100 students a week. I discuss their personal goals and check in with them as best I can before and after class. I always get to my classes at least 15 minutes early, and my students know this, so those that have individual needs/guidance come to me then and we make a plan specifically during this time. (I need to start doing this! ) I also always use life examples of positive overcoming to start and end my classes. Do you have a favorite healthy snack or recipe that you can share with us? YES!!!!!!!!! Celery and ALL NATURAL peanut butter and/or Sunflower seed butter with dried berries. What’s your favorite exercise that we can try at home? Plank variations – they are simple and can be done anywhere and they are full body. Full arm extended planks, forearm planks, lift one leg plank, side plank, hold each for a minute. . . do it NOW, it works so good and hardly ever gets easier: It’s simple Stillness of MIND and Body and yet it is the most challenging exercise the most advanced athlete still struggles to do. One minute is less than 1% of your day, we all have the time to make ourselves better, we just have to make the time to do it. If someone has a month to get bikini ready, what should they do? With that said, if I was not here in LA today, I would be in Kenya helping the baby rhinos survive and fighting off the Poachers that kill these nearly extinct preciously BEAUTIFUL animals. NEVER GIVE UP Mannnnnnnn, and BE true to YOURSELF. Becky currently resides in Los Angeles and teaches TRX, SculptWorks, and BarWorks at www.YogaWorks.com. She trains her private training clientele at www.beverlyhillsprivatetrainers.com. You can follow becky on instagram, twitter or Facebook and be sure to check out her website, Body by Becky.